You can obtain cryptocurrencies by mining, buying with traditional currency or exchanging for other currencies. The sites below allow you to buy or exchange cryptocurrencies. Cryptopia - New Zealand based exchange for buying/selling bitcoin and many different currencies. 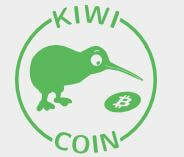 Offers deposit/withdrawals to NZ bank accounts.